The environment committee of Mid Ulster District Council met tonight at 7pm in Cookstown to consider the hotel’s entertainment licence. 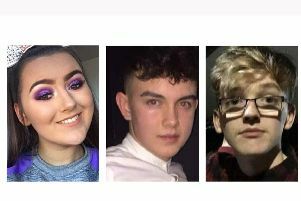 It comes after Lauren Bullock, 17, Connor Currie, 16, and Morgan Barnard, 17, all died after a crush at the Cookstown venue. Hundreds of young people had been queueing for a St Patrick’s night disco. Police questioned two men on suspicion of manslaughter. No-one has been charged. The meeting was held without press or public present. 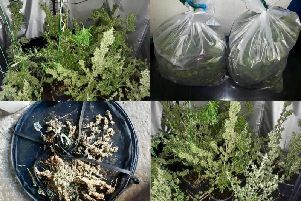 A council spokeswoman said that was normal procedure. The entertainment licencing does not deal with alcohol, which is a matter for police; instead it deals with the regulation of things like music and performances. After the meeting the council released this statement: “Given the tragic events which occurred at the Greenvale Hotel the environment committee, as the licensing authority, met this evening to undertake a review of the premises’ entertainment licence. “The committee has sought, and the licensee has agreed to provide, health and safety risk assessments and associated documentation. “In the interim period the hotel has proposed to restrict its entertainment activity to weddings and private functions only. The hotel will provide the council with two months’ notice of any proposed variation of this position. The committee has therefore agreed to defer considerations until October when the licence is due for renewal.